Who has not found him or herself yawning for no reason? Why does someone start yawning and then more than half of the class keeps on doing it? Yawning is intriguing to me since I am a person who does it a lot. There is a myth about how it is contagious and that is why I decided to do some research about it to find out if it actually is. Many believe, yawning is contagious. Why? There is not a clear answer but several experiments have been made to figure that out. Somehow scientists have arrived to the conclusion that yawning may be correlated with age, empathy, or other social factors. According to Psychology Today (Bergland, 2014) The University of Connecticut and Duke University have conducted several research studies in which their purpose has been to find a factor that causes contagious yawning. However, both had different results. The University of Connecticut discovered that contagious yawning is a sign of empathy. They thought this after studying a group of 30 children located within the autism spectrum. The results of the study were that children who had severe autism were not likely to yawn contagiously while the others did. This means that there is a social need for a person to yawn after watching someone doing it. However, there is not enough data that could support this hypothesis yet, as there many other factors that need to be taken in consideration. On the other hand, Duke University suggested that empathy has no correlation to yawning but that it depends mostly of the age of a person. 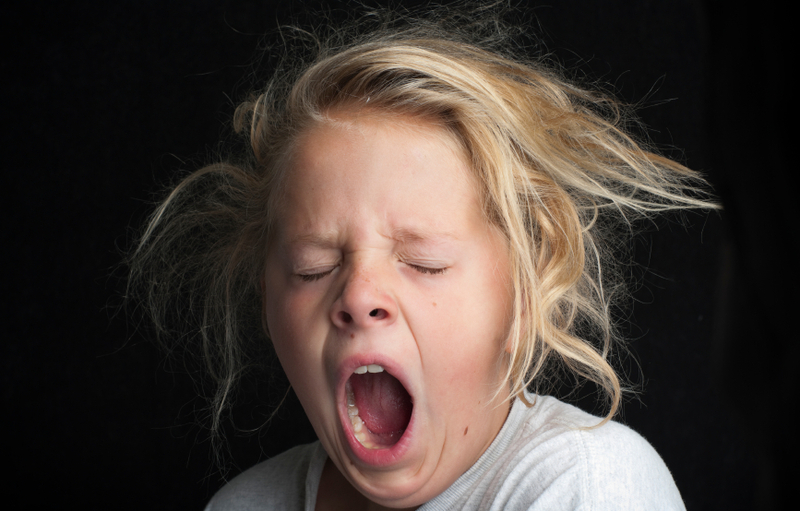 For instance, their findings demonstrated that children can be more susceptible to contagious yawning than aged people. These conclusion surged from the fact that from out of 328 test subjects, younger individuals were more likely to yawn with others while watching a video. This was the only factor that varied in the experiment. But this factor was only responsible for a low percent of variability which makes scientists believe that there is no current explanation as of why there is an increase of contagious yawning in some people more than in others. The article explains that there are two types of yawning: contagious and spontaneous yawning. Spontaneous yawning is believed to be caused by factors such as fatigue or sleepiness, while contagious yawning does not have concrete factors but is known to be existent. This entry was posted in Uncategorized on September 16, 2016 by Bernarda Jarrin Alvear. This is a very interesting topic and one I learned about from a great science Youtuber called Vsauce. He has a great video about all the science behind this just like how you covered it. Very good and interesting post. As soon as I read the word “yawn” in just the title of your post, I instantly yawned lol! Yawning is definitely something that I will always believe to be considered contagious. There has rarely been a time where I don’t yawn when someone who is in front of me yawns or just even says the word; typing this and thinking about the fact of yawning is making me yawn as I write this! Adding your video in on your post made your post really enjoyable and funny for your readers. Below is a link to another video challenging you not to yawn that I found on YouTube; I couldn’t do it, can you? This is so weird, I’m not yawning next time I see someone else yawn out of spite, haha but this was such a good topic choice. Good Post! What a great topic to write about. Whenever my family is in the car and one person yawns the train starts and the person who started it gets yelled at by everyone else. The blog was very interesting to read and you included a lot of good information. The video was an awesome touch I made it to number 15 LOL. It suggests that yawning correlates with our “flight or fight” responses and that we yawn to mimic the feeling of laughter. Omg lol this post is hilarious!! i’ve always wondered if i was crazy or if I’ve caused other people to yawn and vice versa. It’s really interesting to think about, and why is it only yawning that seems to be contagious. Why not sneezing or even crying? It’s a very strange thing to think about. I found this post very interesting.